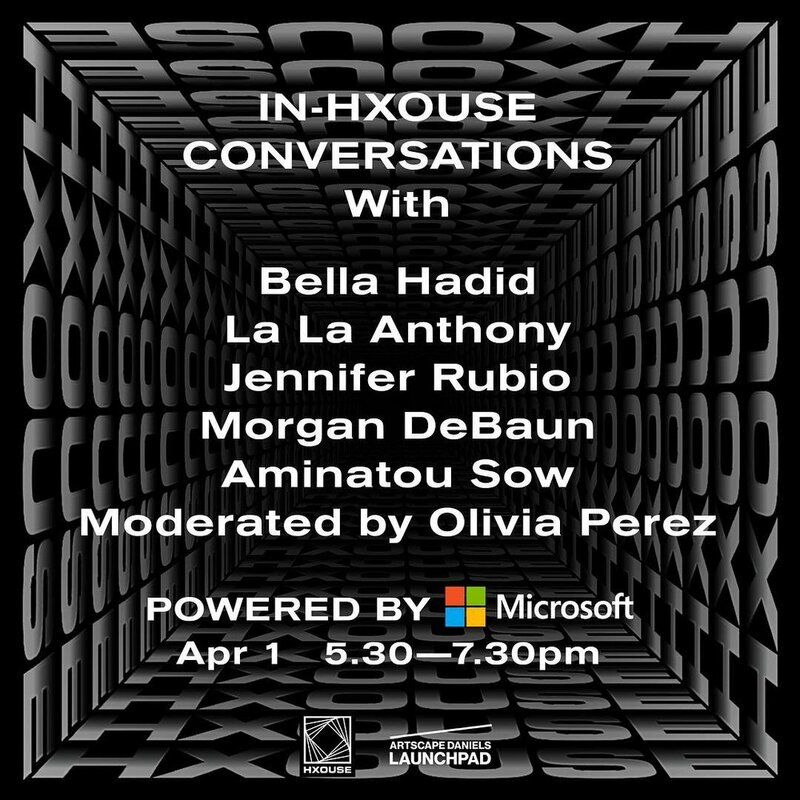 The next generation creative incubator, HXOUSE, is thrilled to collaborate with Microsoft Canada to present a new speaking series, IN-HXOUSE CONVERSATIONS: POWERED BY MICROSOFT. IN-HXOUSE CONVERSATIONS, will feature monthly energetic panel discussions and interactive product and design workshops. The panel series will include central figures within the global creative community sharing in honest discussions on pointed subjects that not only aim to connect and inspire the local creative community, but encourage thoughtful conversations surrounding the burning question of ‘How Will Your Ideas Rise To The Surface?’ Ongoing workshops will allow creatives to explore the intersection of fashion, design, technology and media hosted on Microsoft Surface devices and Microsoft Windows 10 Pro devices. The monthly panel series kicks off with urban streetwear icon and founder of Acronym Errolson Hughes March 29 followed by a star-studded women’s panel April 1, featuring supermodel Bella Hadid, Founder of Away Luggage Jen Rubio, Founder of Blavity and AfroTech Morgan DeBaun, Actress and Writer La La Anthony, and Co-Founder Tech LadyMafia Animatou Sow, moderated by Olivia Perez. The monthly series will be announced on HXOUSE social channels @HXOUSE. Participants interested in gaining exclusive access to participate in the series are encouraged to check back frequently.